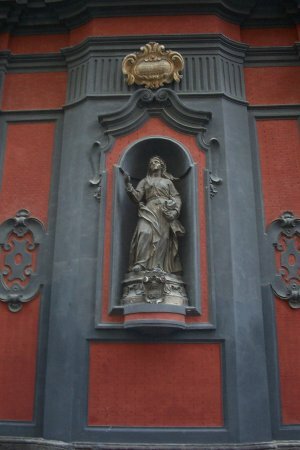 The Historic Centre of Naples has its individual masterpieces, a classical town layout and is associated with many events and individuals of great importance in the early history of Christianity. Naples was founded in 470 BC. It took its fair share of damage in the earthquake of 62 AD and the eruption of the Vesuvius in 79 AD, the one that covered nearby Pompei and Herculaneum. Unlike these towns, the city was quickly rebuilt and flourished for centuries. Mainly as an autonomous kingdom, with an important interlude in the 16th century under Spanish rule (Viceroy Toledo left Naples a majestic quarter). Since the 1990s, Naples is experiencing a renaissance. The city has become safer and cleaner, and many building works are executed in the city center to restore it to its former glory. The night before my trip to Naples I read the ICOMOS evaluation of this WHS, which states "It is difficult to identify a city or cities with which Naples might be compared. Its cultural roots so completely different from those of any other Italian city that comparison would be worthless. It is equally difficult to equate Naples with other major Mediterranean cities such as Barcelona or Marseilles." There are so many historical city centers on the World Heritage List that this came across as an exaggeration. Walking around Naples by myself proved me wrong however. Naples is a unique European city, which in my opinion can only be compared to places like Jerusalem and Kathmandu because of the narrow dark streets and the overall highly religious atmosphere. Probably the artistic highlight of Naples is the inner courtyard of the Santa Chiara monastery complex. 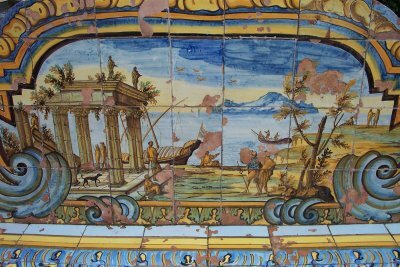 Between 1739 and 1742, Domenico Antonio Vaccaro here created a garden with blue, yellow and green majolica benches and pillars. The surrounding walls are totally covered with frescoes. In one day you can only get a glimpse of this fascinating city. Another part that I loved is the area around Via San Gregorio Armeno. 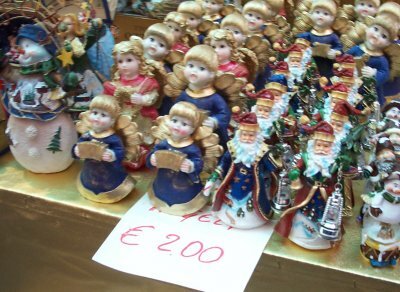 This time of year the streets here are filled with the stalls of the Christmas market, selling all from tiny trinkets to huge pastoral scenes. I visited this WHS in November 2018. Although it is one of the biggest and mostly populated cities in Italy, it seems to attract much less people apart from the cruise liner passengers and most of them head straight to the Amalfi Coast or Pompeii and allow less (if any) time to this historic city. It seems to have too much of a bad reputation when compared to other cities in Italy too. I'm not saying that it doesn't have its problems, but I did not encounter any extraordinary problems even though I went around with my camera at night, I drove in and out of the city and I parked my car both outdoors and indoors. On the other hand, even though I found Naples interesting and pleasant, to me it lacked the general feel of an old city full of culture which several other inscribed Italian cities possess. I enjoyed the Piazza del Plebiscito and the Palazzo Reale, the Maschio Angioino (photo) and the Castel Dell'Ovo, the several churches, monuments, private stairways, and statues along the famous Spacca Napoli, Via San Gregorio Armeno with the various cribs and figurines, Piazza del Gesù Nuovo and Napoli Sotteranea. The latter two were the highlights of my trip in Naples. Piazza del Gesù Nuovo seems to be the real heart of this WHS. The rustic ashlar diamond projections of the Chiesa del Gesù Nuovo reminded me of Palazzo dei Diamanti in Ferrara which has a similar facade. Next to this church is the UNESCO WHS inscription plaque. Opposite the church is the tall spire of the Immaculate Virgin and the Basilica or Monastery of Santa Chiara. Most of the churches are free to visit but the Basilica of Santa Chiara has an entrance fee and limited opening hours to be able to visit the chiostro maiolicato or chiostro delle Clarisse but it's worth the effort. Even though I enjoyed my visit to all of these sites, I found them to be quite distant from each other and with too much urban sprawl or ugly buildings in between to be able to appreciate a continuous cultural landscape like in other historic cities. Ironically, the best place to appreciate the historic city of Naples almost untouched is underground through one of the tours organised by Napoli Sotteranea (https://www.napolisotterranea.org/) which reminded me of a similar experience in Valletta, Malta. There is nothing claustrophobic as there really is another city with endless galleries, an aqueduct and also a Greco-Roman theatre hidden underground beneath the city of Naples. If you have extra time, do allow at least half a day for the National Archeological Museum and make sure not to skip any lunch or dinner as the food here is to die for (with the pizza inscribed as intangible world heritage and attempts to inscribe most foods and drinks of the region including the not so inspiring Naples coffee), even though you'll have to go on a diet afterwards! Still, it's worth it! I hadn't heard a lot of positive things about Naples from friends, but I rather enjoyed my short visit in spring 2013. Like many visitors, Naples was a stopping off point for me en route to the scenic Amalfi Coast and ancient ruins of Pompeii. Since I only had a couple of hours to see the city, I spent the time exploring the historic center. Walking down the Via San Carlo I traveled a Neapolitan timeline from the fascinating Castel Nuovo, which housed the medieval monarchy of the Kingdom of Naples, to the Palazzo Reale, one of several residences which housed the Bourbon monarchy of the Kingdom of the Two Sicilies. The architecture of the Teatro di San Carlo, Italy's oldest opera house, and the Galeria Umberto I, a 19th century shopping gallery, was impressive. Although the Piazza del Plebiscito was rather large and empty when I visited, I appreciated the liveliness of the nearby neighborhood streets lined with colorful apartment buildings. I wish I had more time to explore the numerous churches and museums of Naples, but that will have to wait for a future trip. 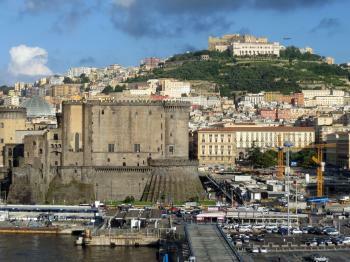 Logistics: Naples is a walkable city, although the street traffic can be a bit hectic. My visit to Naples coincided with the rubbish collector's strike, so I was greeted by foul smelling mounds of rubbish littering the streets. This was particularly acute in the narrow streets and alleys of Spaccanapoli. Nevertheless I managed to visit the cathedral and several other of the listed churches in the area. More to my taste though were the palazzos of Piazza Bellini which overlook some of the excavated Greek foundations of this city. The views from the summit of Vomero Hill were excellent, but the scruffy Villa Florida was disappointing. St Elmo's castle was very solid and a place for admiring the views. But my favourite places were the Palazzo di Capodimento, which I reached by bus R4. This palace, set in a park on a hilltop was quite serene. 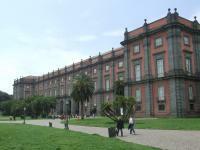 Another, the Palazzo Reale, facing the huge Piazza di Plebiscito was was open for an art exhibition. 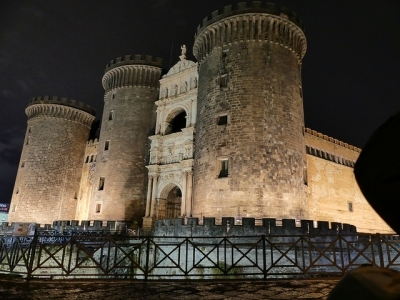 The Castel Nuovo and Castel del Ovo were in great locations beside the Bay of Naples. Unlike many other tourists in Italy I always wanted to visit Naples first and foremost. I knew it wasn't on the top of the list of popular tourist destinations and I didn't know much about it, but knowing about its cultural impact in addition to local traditions like the pizza or the Neapolitan Song, I decided a trip must be worthwhile. I was happy to learn my intuition was on the right track. 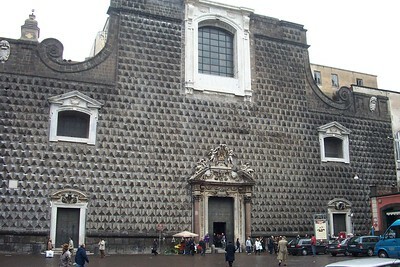 Although partially bombarded during WWII the historical centre of Naples remained almost intact. It has plenty of narrow allies with market stands. The Duomo, Girolamini Monastery, Jesuite Church, Santa Chiara Convent and Capella Sansevero are my favourites, although you can find countless beautiful churches in the centre in great proximity to each other (featuring Donatello, de Ribera and Caravaggio just to name a few).Naples is also rich in museums (archaological museum, Capodimonte) and its variety of historical villas. You need at least 3-4 days to explore Naples (without its great surroundings which require much longer). Four other WHS are easy to reach: Caserta, Amalfi Coast, Popmeii and related sites and Cilento and Valo di Diano including Paestum. Naples is crazy! The sheer volume of people and cars that occupy the space of the old centre seems completely unmanageable. Petty crime and, particularly at night around the train station, local transgressions have been rearing its hard every once and while. That all being said, Naples has a good deal to see, whether it be the Archaeological Musuem (unbelievable) with treasures 'borrowed' from Pompei and Herculaneum. Or the Spaccanapoli with its uniquely neopolitan atmosphere and a work ethic adopted a particular cheese on their own. I', not sure how easy it will be in dinner, but originality suffers tremementdously. Many people overlook Naples or just pass through it on their way to neighboring sites like Capri or Pompeii, but it is one of the oldest cities in Europe (Neapolis is Greek for New City), has many interesting sights (especially a great archaeological museum and a nice fortress), and is a worthy World Heritage city. The specific charm of the city is well-known, anyway. On the whole, better than I had expected. Nunneries: Santa Chiara was built for the Clarisse nuns. 432 Community Members have visited.